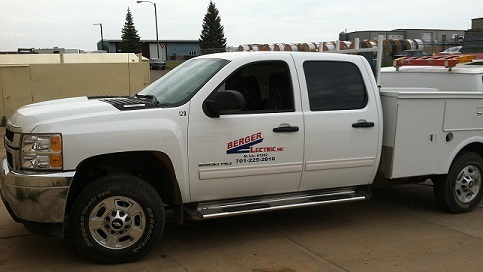 Welcome to Berger Electric Inc.
Berger Electric Inc. is a North Dakota based electrical contractor established in 1977. Certified electrical installers are available to meet and troubleshoot all of your commercial, industrial, and residential needs. A detailed list of services can be seen by clicking the services tab above. We maintain a fleet of fully stocked vehicles, boom trucks, scissor lifts, electrical tools, and equipment. Our approach results in cost effective electrical design, installation, service, and project management. If you have any questions please feel free to contact us via the Contact link on the navigation bar above.